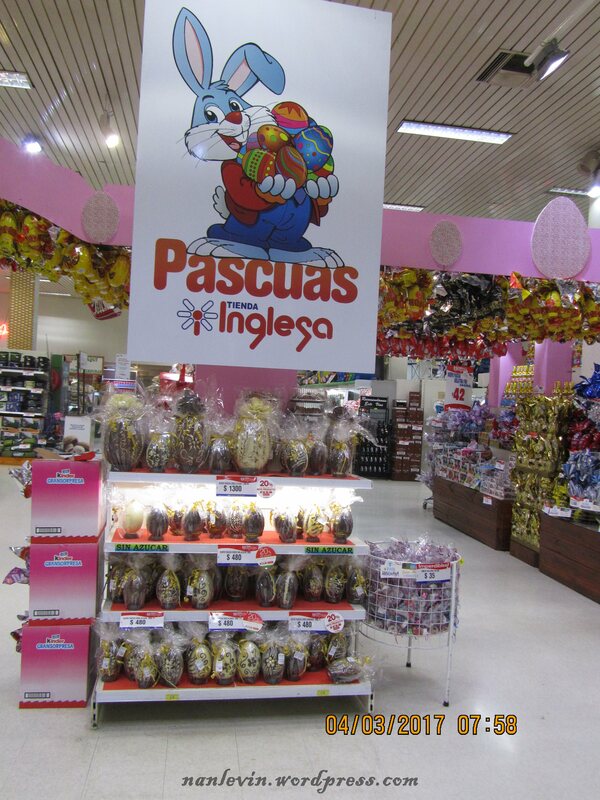 It was fun to walk into the Tienda Inglesa this morning to see huge displays of Easter candies. It looks like many young kids will be having a great Easter treat. 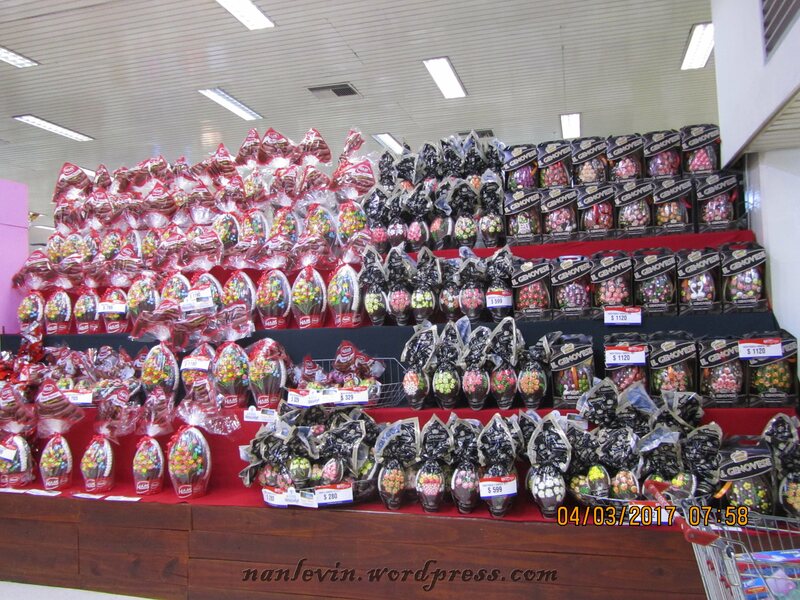 This entry was posted in Buceo Montevideo Uruguay, Candy, Easter, Montevideo, Montevideo Shopping Mall, Montevideo Uruguay and tagged Beach living, Montevideo Uruguay, South American by Nancy Levin. Bookmark the permalink. 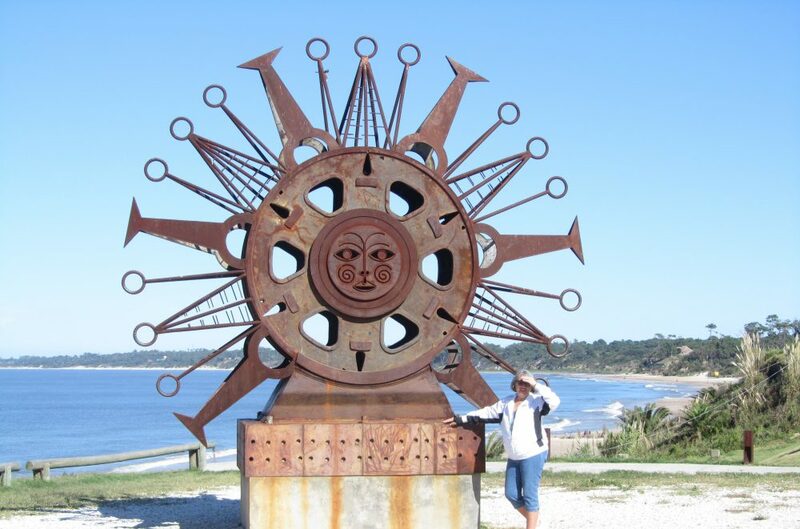 But I want one Mary…. We will probably pick up two small ones for ourselves as an Easter treat. So happy to see so many on the shelves and happy that they just arrived a few days before Easter instead of weeks and weeks before like in the US.